Manufacturers looking to grow their business can get started on LinkedIn in mere minutes. The first thing you need to do is set up a LinkedIn Company Page. This helps other users learn about your business, your products, and even job opportunities. You can get started here, but it’s important to note that in order to create a Company Page, you’ll also need to create a personal LinkedIn profile; don’t worry, that’s an easy process too. Simply follow the instructions the site provides. When adding your company, you’ll need to check a box indicating that you have the right to act on behalf of your company (you can add additional page administrators later). Then, LinkedIn will automatically create a shell of your Company Page. How great is that? All that’s left to do is fill in some of the details, and it will guide you through the process. A word of advice: don’t forget to add a company logo; LinkedIn data shows that companies with logos get six times more traffic to their Company Page. Also, when creating your company’s description, get the most important information quickly. The first 156 characters are what will appear in the Google preview of your company page. Simply setting up a Company Page and expecting something to happen probably won’t be very beneficial. Aside from gaining connections and followers, it’s important to use the marketing tools that are available to you. Here are a few ways to boost your LinkedIn mojo. Encourage employees, customers, and suppliers to connect with you. There’s no better way to grow your audience than to make connections. With each connection, you also wind up tapping into their network, and your Company Page will appear in their profiles. By publishing valuable content on a regular basis (LinkedIn recommends at least once per week) your posts will rise to the top of your follower’s news feeds and get you noticed. If this sounds daunting, remember that the content doesn’t have to originate from you; simply sharing a valuable link (with a comment on why you think it’s share-worthy) to another story shows that you’re engaged in your industry. You can also publish original newsworthy stories on the LinkedIn publishing platform to boost your presence on the network. That means photos, video—anything not text-related. LinkedIn states that posts with an image receive 98% more comments. If you have a YouTube channel, you can also link to videos published there; they play automatically when someone is scrolling through their news feed to capture attention. Being an active participant in a LinkedIn group can show that you’re both invested in your industry and are a thought-leader within it while growing your connections outside of those you already know. Here are 10 Helpful LinkedIn Groups for Manufacturers; but if you’re not finding the group that’s right for you, create your own and promote it in your posts. More than 70% of Linkedin users are from outside of the US. So, if you’re like many manufacturers who export to other countries, use LinkedIn’s multi-language tools to attract users outside our borders. LinkedIn allows you to create custom descriptions of your company in 20 different languages. The right description will appear for each LinkedIn member based on the language settings they have chosen. Using multi-language tools shows you care about customers in every language! When using LinkedIn, it’s important to understand what matters to the site. A LinkedIn bot will evaluate all your content, and take it down if it’s deemed to be spam or of low quality. The more likes you get, the higher your post will rank (and the more prominent it will be within people’s news feeds. However, if people are routinely hiding your posts, your content will be more scrutinized. LinkedIn also has human editors, who may decide your post should be boosted (or, if it’s poor, removed). So, make sure content is always quality. Lastly, know your analytics. LinkedIn allows you to see who’s following you, their demographics, the time of day they’re visiting your page, and much more. Simply click the “Me icon” at the top of your LinkedIn Page, then choose your company page under the “Manage” section. Then, click the “Analytics tab” and choose “Visitors, Updates, or Followers.” It’s a great way to keep on top of who your customers are (or could be!). Ready to Be Linked In? The way people communicate and interact with companies is changing, and manufacturers need to change with them. By joining social media sites like LinkedIn, you can reach customers where they’re at, and engage them in a whole new way. Today, 6 in 10 companies say maintaining an online presence is critical for the long-term success of their business. 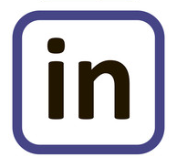 So if you’re not on LinkedIn, get connected today!